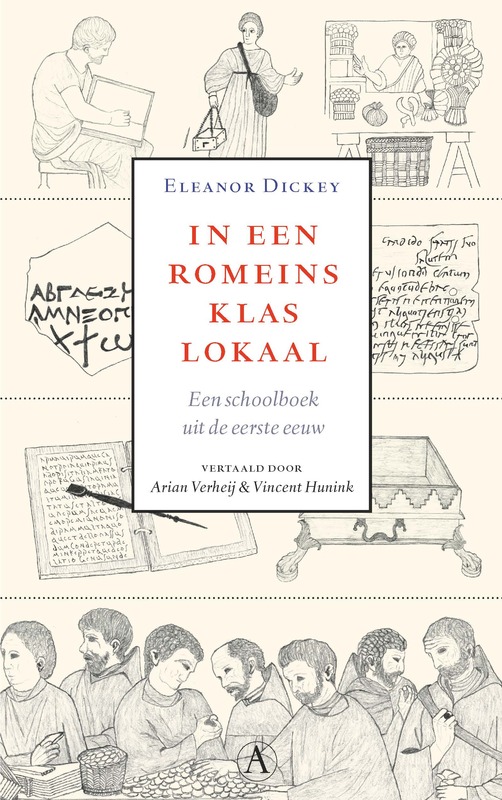 Professor Eleanor Dickey’s book ‘Stories of Daily Life in the Roman World’ has been published — in Dutch! This book focusses on a subset of the ancient Latin-learning materials she published in ‘Learning Latin the Ancient Way’, the ancient dialogues about daily life in Rome, and provides translations and introductions for people who are interested not in learning Latin, but in Roman culture. It is illustrated with dozens of drawings of objects referred to in the texts; these were enormously fun to produce and gave real focus to all her trips to museums and ancient sites over a period of several years. Although very fond of the Dutch language, she actually wrote the book in English, and it will be published in English by Cambridge University Press, eventually. (Probably 2018 or so, given the speed at which Cambridge works: the final version of the book was handed in in April 2016 and has been in a queue ever since.) 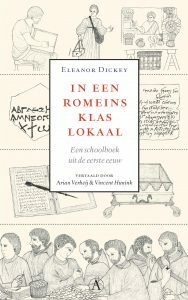 But meanwhile an enterprising Dutch Classicist, Vincent Hunink, got in touch and asked about opportunities to do a book on the dialogues for a Dutch audience. So she sent him a draft of the book, and he translated the dialogues themselves from the original Latin and Greek, while Arian Verheij, a Dutch translator, translated the portions originally composed in English. Eleanor believes that the result looks absolutely splendid in electronic form, though she has not yet seen an actual copy of the book.